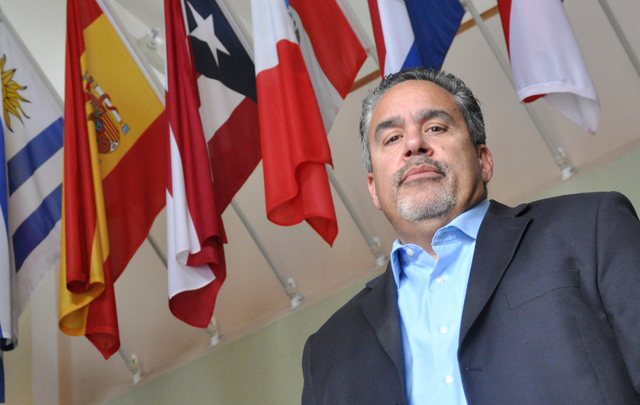 Buford Davis/Las Vegas Business Press Peter Guzman, president of the Las Vegas Las Vegas Latino Chamber of Commerce, is optimistic about the push for diversity for Latinos in the region's larger businesses. Nearly one in three Clark County residents is Hispanic or Latino, creating a growing and powerful consumer market and profoundly shaping our broader culture. But that demographic shift is yet to be reflected in the workforce of many of our region’s businesses. “In terms of diversity, I think we have a long way to go,” said Peter Guzman, president of the Las Vegas Latin Chamber of Commerce. “When you get to the higher, corporate level, and corporate boards, we still do not see enough Hispanics represented. Guzman says he believes qualities developed in various Latino cultures prime recent immigrant families for business success in this country. “These are hard-working people who come from difficult situations,” he said. “Most of them come from countries without social programs set up like (they are) here. You have to figure it out, or you’ll get left behind. So they have that entrepreneurial spirit.